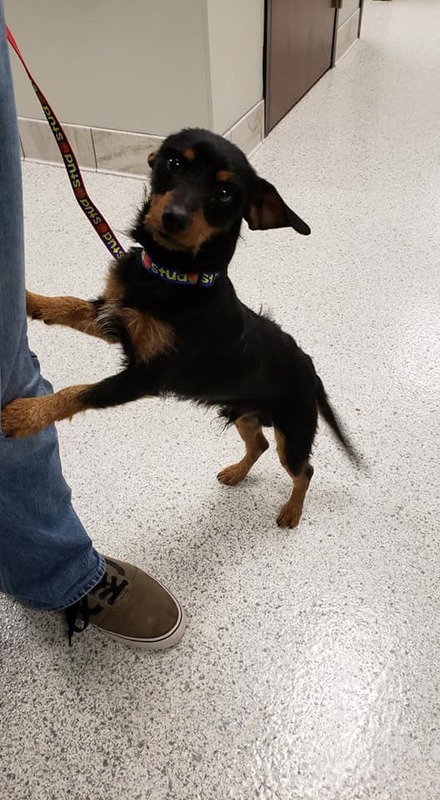 Stud is a young (under a year old) neutered male doxi mix looking for his new forever home- He is UTD on all his vaccines, micro-chipped and been dewormed. He is a very loving boy and gets along great with children of all ages and enjoys going on walks. He does not appear to be house broke, but has done very well with kennel training. He didn’t seem to mind the cats either!